The World Health Organization, for the first time, listed gaming disorder as a mental health condition in its newest reference bible of recognised and diagnosable diseases— International Classification of Diseases (ICD). Since this move has received mixed reactions from both gamers and experts, Down To Earth decided to reach out one such expert and talk about it, in detail. Q. What significance does the World Health Organization’s classification of gaming disorder as a mental health condition hold, especially when games like the Blue Whale Challenge have killed a number of children in India? In my view, this is a significant development. This inclusion gives the diagnosis a validity, something that has been questioned till now. But it also gives rise to newer debates. In my opinion the debates are valid and justified as this is how science and medicine grow. Those with this pathological pattern of gaming can now be diagnosed with gaming disorder and be offered appropriate intervention. This is a big step forward. We must not confuse gaming with gaming disorder. These are two entirely different constructs. It is possible to engage in gaming and not be suffering from gaming disorder. Games like the Blue Whale Challenge are presented more as a challenge rather than a game. So, one is expected to compete a series of tasks that are different from levels in a typical game. So, people taking up these online challenges may not qualify for the diagnosis of gaming disorders. But we are yet to address the issue of online challenges. Thankfully, we do not get hear a lot about it these days, but it should not make us believe that it has disappeared or may not come back in another avatar. We have seen a case of Blue Whale Challenge at BAC and have also prepared a video advisory on online challenges. Q. 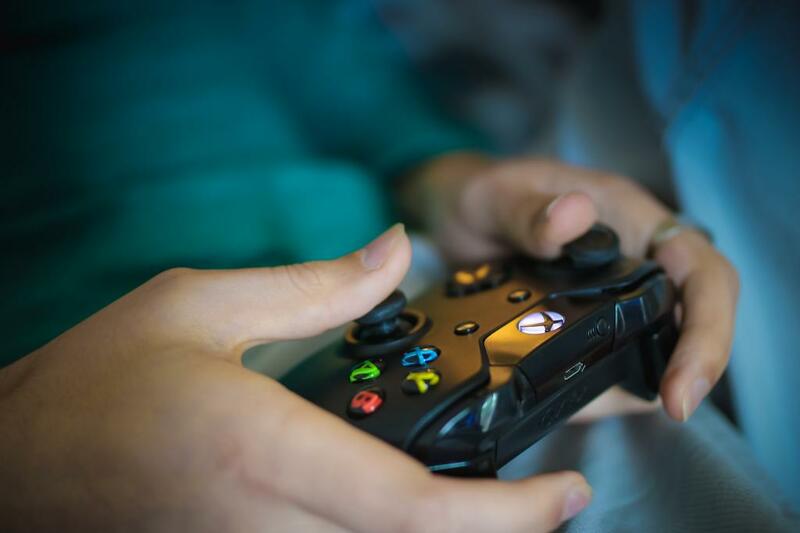 Some experts are saying that the decision to classify gaming addiction as a mental health disorder was “premature” and based on a “moral panic”. What do you think about such a reaction? Gaming disorder has been included in the classification system by the WHO for the first time. However, the debate around the same had been going on for quite some time. In fact, the American Psychiatric Association had included the Internet Gaming Disorder in its diagnostic manual in the year 2013. However, there was a caveat there. It was not included as an accepted diagnosis but as a “condition for further study”. This meant that there was a strong case to consider its inclusion, but the evidence was not strong enough to merit the same. A few years have passed since then. But the evidence still remains equivocal in some ways. That is the basis of this debate. Q. How can you diagnose that someone is suffering from a gaming disorder? Are there any clear indicators like hours spent on gaming? Well-defined criteria shall be provided by the WHO once the ICD-11 is released. Some of the current recommendations include loss of control, preoccupation with gaming, craving, discomfort on stopping, compulsive use, use of gaming for mood regulation, continued use despite of adverse consequences. But, we are yet to see which ones are included in the WHO's criteria. I personally would expect some differences from the criteria used for addiction to tobacco, alcohol and drugs. Q. There are gamers who deny that they are addicted to gaming despite having played games for three days at a stretch. Are most such individuals, you have observed and are suffering from such a disorder, in a denial mode? It is not unusual to experience minimization of behaviour or even denial on part of the person with addiction. These persons are exhibiting the same. Q. Of the total patients, you meet at the BAC, how many of them on an average are suffering from gaming disorder? I cannot disclose the details, but excessive and problematic gaming is one of the common reasons for consultation from our clinic. Among those with behavioural addictions related to internet use, it is the second most common. Q. How do you think a person should be diagnosed for gaming disorder? The diagnosis has to be made based on the recommended criteria. A minimum number of clinical features should be present for a minimum duration of time to qualify for the criteria. Also, there should be associated distress and dysfunction to be certain about the diagnosis. Q. What changes are required at a policy-level in India to ensure implementation of appropriate diagnosis of such a disorder? We need to ensure two things. First, educate and train the health care providers, parents and teachers on identification of gaming disorder. Second, educate all stakeholders on what does not amount to gaming disorder, and is well within the realm of non problematic gaming. Our clinic is also going to launch an online course directed at teachers and counsellors on identification and management of behavioural addictions involving use of internet and it shall include gaming disorder too. More such efforts are needed.